We are offering the wide range of Cosmetic Bottles such as Nail Polish Bottles, Perfume Bottles, Hair Oil Bottles and Cream Jars etc. It is available in all shapes, colours & size ranges from 5 ml to 500 ml. Our technologically updated equipment and systems have ensured the production of quality product in the market. With vast experience in ceramic industries, we have established an enviable reputation. 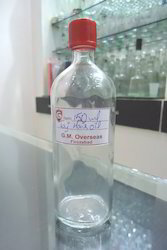 We are offering a wide range of 500 ml Rose Water Empty Glass Bottles to our clients. 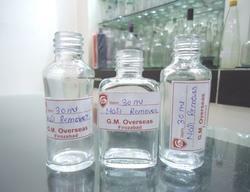 We are offering 30ml Zermat Lotion Empty Glass Bottles to our clients. Shape Cylindrical, Oval, Flat, Etc. 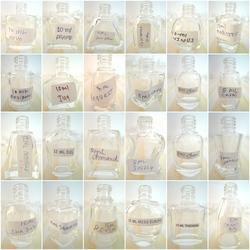 We are offering a wide range of 100 ml Empty Hair Oil Bottles to our clients. 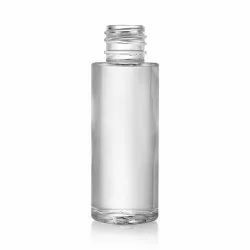 We are offering a wide range of 150 ml Taj Hair Oil Empty Glass Bottles to our clients. 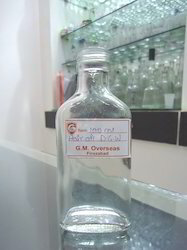 We are prominent manufacturer supplier of High Quality 30 ml Nail Polish Remover Glass Bottles. 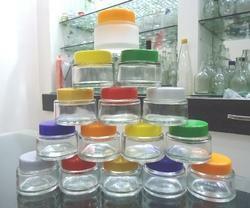 We are offering a wide range of 50 gms Empty Cream Jar With Caps to our clients. 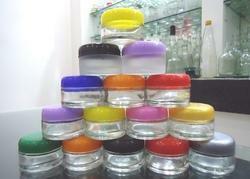 We are offering a wide range of 20 gms Round Plain Cream Glass Jars to our clients. 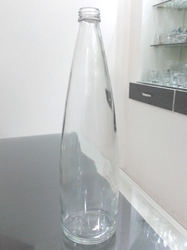 We are offering a wide range of Perfume Glass Bottles to our clients. 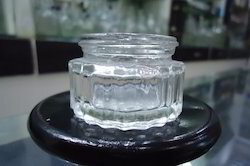 We are offering a wide range of 10 gms Ribbed Cream Empty Glass Jar to our clients. We are offering a wide range of Nail Polish Empty Glass Bottles to our clients. 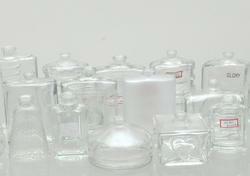 Looking for Cosmetic Glass Bottles Jars ?